Your patio is that outdoor spot which is meant to serve as a fair-weather den or a great place for entertaining extended family and guests on warm summer evenings or fall afternoons. To get the most out of your patio and your patio furniture, you will need a patio umbrella. Patio umbrellas provide protection from the sun’s harmful rays and keeps off the rain while you enjoy your time outdoors. Choosing the right patio umbrella for your patio and the configuration of your furniture can be something of a challenge with the wide variety of patio umbrellas on the market to choose from. Our buyer’s guide is a resource which will teach you how to look at the various features and benefits of a patio umbrella in order to make an informed decision when it comes time to purchase one. 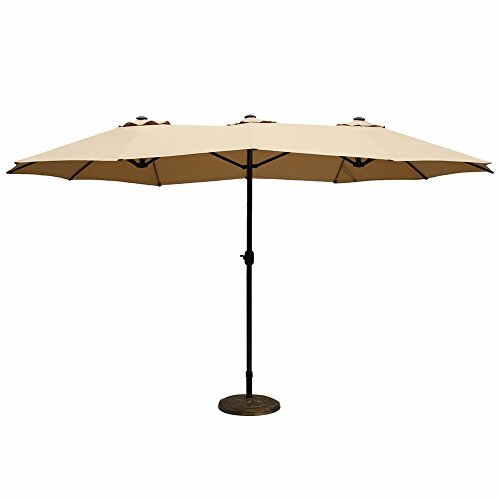 In addition, we will give you an opportunity to compare the features you learn about with ten patio umbrella reviews. It is our objective that, by the time you are finished using our buyer’s guide and reviews, you will be able to make a well-qualified decision concerning the patio umbrella which best suits your needs as well as your preferences. Let’s get started. Why do you need a patio umbrella? When it comes to fully enjoying your outdoor space, especially your patio furniture, the elements can limit that enjoyment. Scorching sun and rain, even snow, can be kept at bay through the use of a patio umbrella. Not to mention that you really need to complete the look of your patio set if it’s not covered. What benefits can you expect from a patio umbrella? Having a patio umbrella will allow you to enjoy your patio furniture in all kinds of weather. 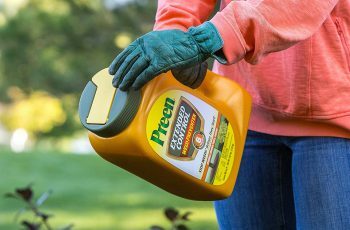 Even more important than that, is that your patio furniture can also provide you with a health benefit by blocking out harmful UV rays that can cause all sorts of critical health issues. 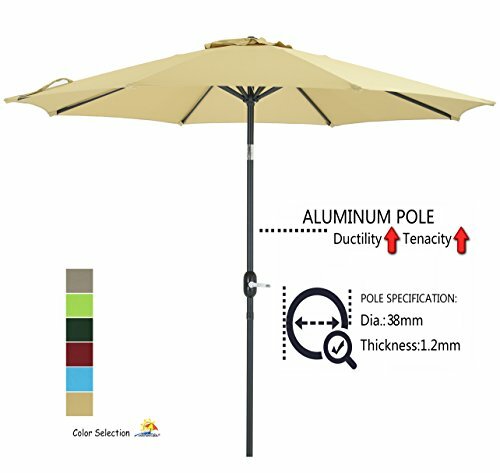 What are some features to look for in a patio umbrella? To obtain the benefits of a patio umbrella, you will need to find one that fits your needs and preferences. 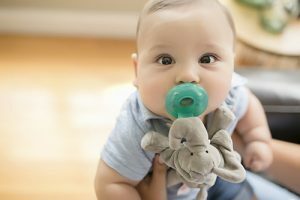 Though those needs and preferences will vary from one person to another, there are some general features to look for in order to get the best value for your investment. Let’s take a quick look at those features. No one wants to have to purchase a new patio umbrella every summer or two. If you are able to choose a durable patio umbrella, then you should be able to enjoy it for a long time. There are two major elements in a patio umbrella which need to be durable. • Frame and rib construction. The frame and rib construction of a patio umbrella needs to be made of durable material, which won’t easily damage even if a gust of wind hits, while still being light enough to work with. 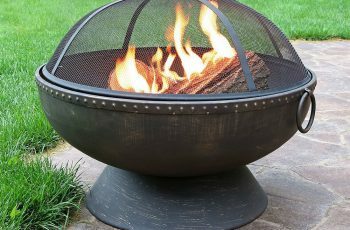 Common materials used in order of their durability are steel, aluminum, wood and fiberglass. • Canopy material. Plastic, Cotton, Vinyl, Polyester, Olefin and Solution-Dyed Acrylics are all used for canopy materials in umbrellas. The most common canopy material in most residential and commercial patio umbrellas is polyester or some blend of polyester. Whatever fabric is used, it needs to include treatments that will make it colorfast or fade resistant, waterproof and have a high UV protection rating. 250 GSM or higher makes for longer lasting canopies. When it comes to size, you really need to keep your patio furniture set in mind. Patio sets with 4 to 6 seats will require a minimum of about 9’ diameter of canopy space. Larger patio sets will require a larger diameter canopy. Don’t forget to take height into account, because it can make some difference in how effective the umbrella provides shade. Though a typical patio umbrella tends to fit in the center hole of your patio furniture, there are other options for furniture that does not include this hole. The most common are offset cantilever and half-round styles, which extends out over the area you wish to shade, but the main pole structure is offset to one side. • Canopy opening mechanism. These tend to be either a manual push up type or some sort of crank and pulley system. • Tilt. This feature allows you to follow the sun as it rises, travels overhead and sets at various angles in the sky and get the best shade for each location. • Lights. This is another consideration, especially if you intend to use your patio furniture in the nighttime. Many of these units come with LED solar powered lighting. • Décor matching. Another consideration to keep in mind is how the canopy and frame fit into your overall patio décor. With an understanding of these features and benefits in mind, let’s take a closer look at ten various models and styles of patio umbrellas in order to make a comparison between them. Go native with the EasyGo Thatch Patio Tiki Umbrella. 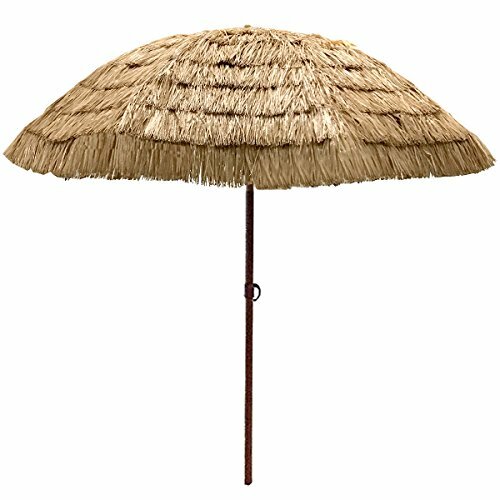 The thatch on this umbrella give it the look of a tiki hut and the wood-grain finished steel frame and ribs complete the look, but with the durability you’re umbrella needs. The 1.25” diameter pole fits most standard patio tables and it comes with a 30 day money-back guarantee. 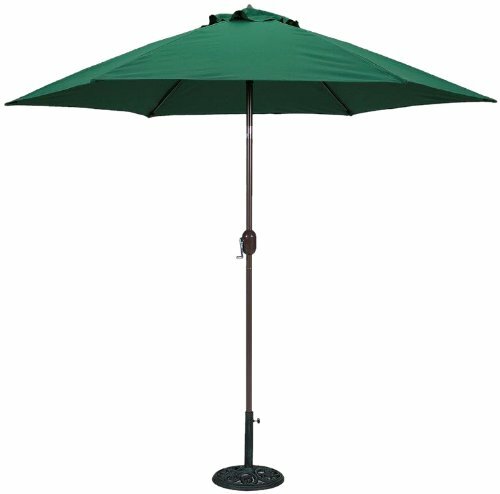 This is a great design option which is unique, but still has all of the features of a durable and long-lasting patio umbrella. 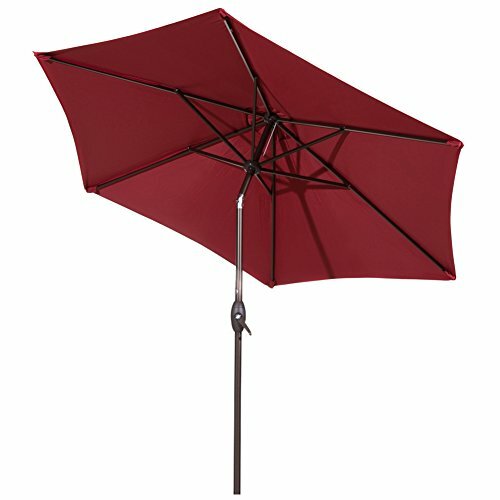 The steel frame and ribs speak of quality and this umbrella also has a tilt feature. The manual lift feature isn’t quite as nice as a crank type. The design is limited to a specific decorating scheme. You have a Hawaiian or Polynesian style of décor on your patio and want a solid umbrella to fit the scheme. You might not like this as a standalone option. All of the features and durability you desire can be found in the Abba Patio Market Table Umbrella. 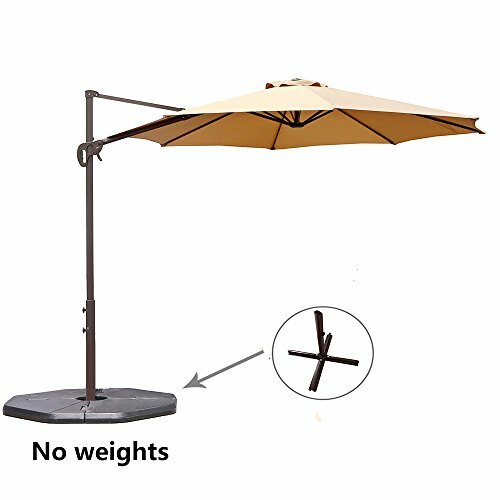 This 9 foot diameter round umbrella fits a patio table with 4 to 6 chair. It is weather and UV resistant and includes a vented canopy to prevent the buildup of heat. The cranking mechanism makes it easy to open and close and it also includes a push-button tilt. Built with 8 steel ribs on a lighter weight aluminum pole, this umbrella is better built than most. 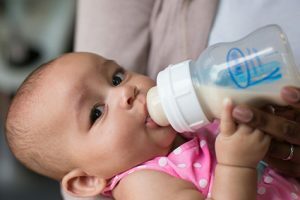 The crank mechanism makes it easy to raise and lower and also includes tilt. Its polyester fabric is not only durable and resistant to the elements, but is made of recycles materials, so it is eco-friendly as well. The frame on this umbrella is not as strong as it looks and you will need to keep it closed except when using it. In addition, it isn’t nearly as fade resistant as claimed. You want a moderately priced patio umbrella with decent durability for mild weather conditions. You might not be happy with this if you live in an area where heavy wind gusts can come up suddenly. 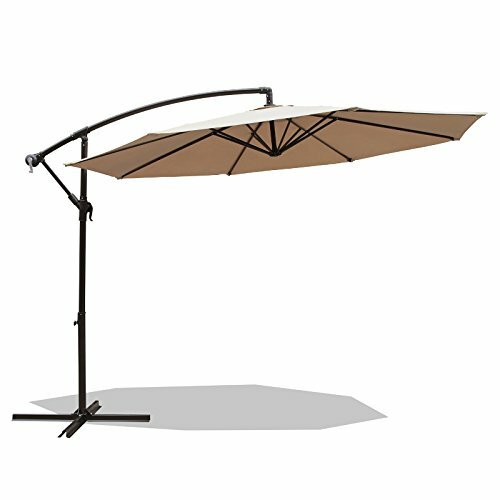 If you need a bit more space for a larger table or to give more coverage to your patio, LePapillon Market Outdoor Umbrella might be what you’re looking for. This umbrella comes with double-sided frames using steel ribs. Opening is easy with a crank type mechanism and two wind vents prevent the buildup of heat underneath. This umbrella gives you a lot more coverage for a larger table or broader coverage. The double-sided steel-rib frame is more durable than a single frame spanning such a wide diameter. The fabric is of high quality polyester is coated to resist water, fading, mold/mildew and UV radiation. This unit utilizes a crank mechanism. There is no tilt feature on this umbrella. The pole is 1.9” diameter instead of the standard 1.25” diameter, so you will need to be aware of this before purchasing. You need coverage over a wider space and want a more durably build umbrella to cover it. You might not be happy with the lack of tilt on this unit. Not all patio umbrellas were meant to fit in the hole in your patio table the Patioroma Offset Cantilever Patio Umbrella is one such type. One advantage of a cantilever style umbrella is that they tend to be cooler because they facilitate better airflow. This umbrella has a wind resistant design with UV protection, waterproofing and fade resistance built into its canopy. This umbrella allows for better airflow and works well with patio tables that do not have a hole for a patio umbrella in the center. The design allows you to set this umbrella of the patio or against a wall for additional stability. This umbrella has a crank mechanism on an aluminum frame with steel ribs. You get no tilt option with this umbrella. The crank handle position on this umbrella when it is closed is a bit difficult to get to. You have a patio table without the typical hole in the center or if you just want to be more creative. You might not be impressed with this model if you desire the tilt option. The Patio Watcher Patio Umbrella is designed and tested for durability and longevity. This umbrella features 250 GSM fabric with 90% UV blocking. 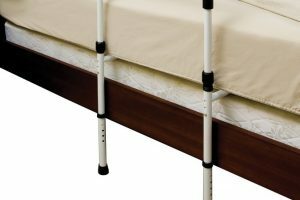 It is mounted on a 1.5” aluminum frame with 8 ribs in the canopy for added stability. Both crank and tilt mechanisms are included with this unit as well. Heavier frame construction with 8 ribs in the canopy makes this an umbrella to keep your eye on. It is a 9’ octagon, rather than a round, making its shape a bit more unique. Both crank and tilt features are on this umbrella. It utilizes breathable fabric for better ventilation in hot weather. The UV protection of this umbrella is a little lower than some of the models. The pole might be too big for the hole in the center of most patio tables, which is approximately 1 3/8”. You want a mid-range priced patio umbrella with a stronger structure. 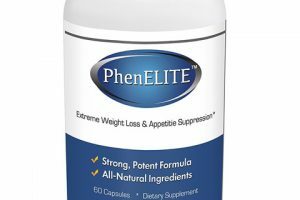 You might not like this product if you are looking for a higher UV protection rating. Enjoying your patio at night can be accomplished with this Abba 24 LED Light Patio Umbrella. 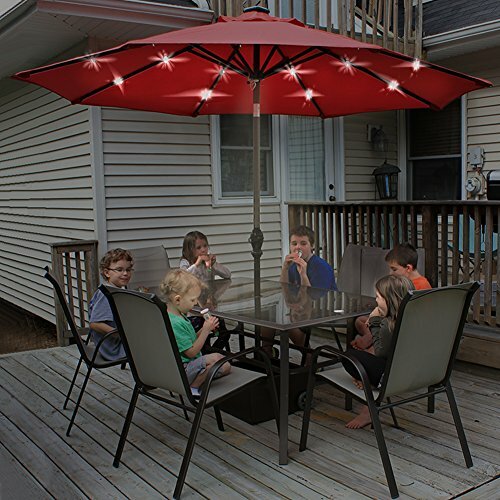 Besides the solar powered LED lights, which require no batteries or other source of electricity, this umbrella comes with a crank lift system and auto-tilt functionality. The frame and canopy on this umbrella were meant to stand up to the elements as well. The powder coated aluminum frame is light but durable and makes use of 8 ribs in the canopy. The solar powered lights certainly add to the versatility and usefulness of this unit. It has both a crank mechanism as well as tilt. Lacks went ventilation, which can cause both a buildup of heat when it is hot and create lift if a gust of wind comes underneath. Reaching the cranking mechanism to open the umbrella if you’re under 6’ tall can be a challenge. You find yourself sitting around your patio after dark and would like something with light built into it. You might not be happy with its lack of ventilation and its height. When it comes to cantilever style umbrellas this Le Papillon ranks up there with the best. The added features of tilt and a 360 degree rotation make this umbrella much more versatile than many of its kind. It comes with an easy crank system, heavy-steel pole and 8 steel ribs construction. Its canopy offers 98% UV protection and waterproofing. 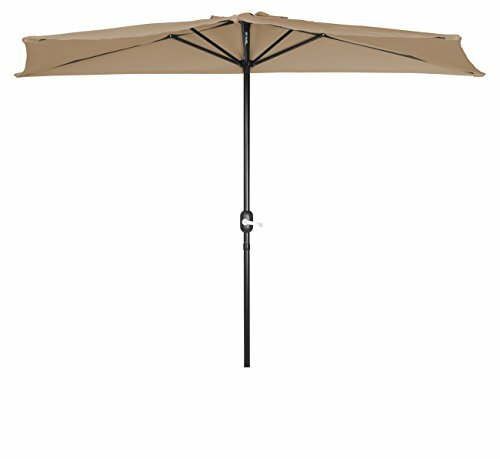 This umbrella is well-built to withstand the elements with wind venting, stronger steel pole and ribs and a heavier canopy fabric. Better air circulation and stability are advantages of the cantilever system, but you don’t have to move this one around, because it rotates to fit whatever configuration changes occur on your patio. This umbrella would do better with more weight in its base or needs to be tied down to your deck. You want the added airflow of a high quality cantilever style umbrella with tilt. You might not be happy with this product if you don’t anchor its base in some way. The TropiShade Market Umbrella combines durability with style and functionality so that you can enjoy your patio umbrella for years to come. It comes with a powder coated aluminum pole that will fit all standard sized patio table holes and features 6-fiberglass ribs in the canopy. The fabric of the canopy is both water and UV resistant and well as colorfast so that it won’t fade. It also features a crank lift and a 3-position tilt mechanism. This is a pretty solid umbrella with plenty of durability for a budget price. Its durability and cranking mechanism make it nearly an equal to umbrellas with a higher price. 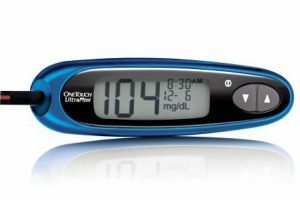 Its 3-position tilt is an innovation that this model has over some of the other models. Fiberglass ribs are a little less substantial than aluminum or steel ones. The canopy fabric stains when rained upon. It has no ventilation, so it is best kept close when the wind is blowing. You are on a budget, but need a reasonably durable patio umbrella. You might not be happy with the lighter weight features of this model. 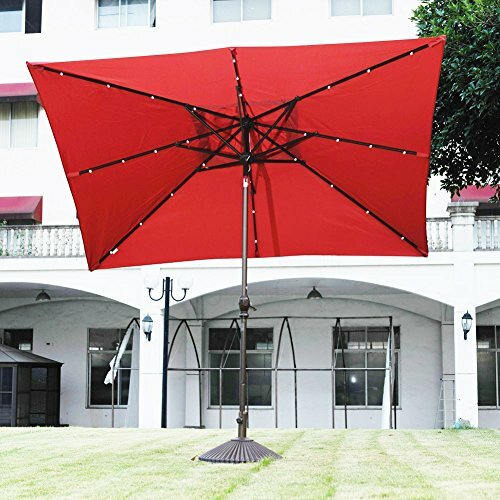 Those living in a townhouse, apartment or condominium with limited patio space might make excellent use of the Trademark Innovations Patio Half Umbrella. This umbrella works just like other umbrellas, but only has half of the canopy. Setting it against the wall of a narrow patio or balcony allows you to add shade to that narrow space without the pole getting in the way. This umbrella sets flush against a wall or window and provides shade in a half circle from the structure outward. It is made with a lightweight aluminum frame but features strength in the steel ribs of the half-canopy. It has a crank mechanism to open the canopy which is waterproof polyester. The stitching of the fabric on this umbrella seems to leave something to be desired. Cranking the handle with the unit flush against a wall is difficult to accomplish. You have limited space or narrow patio or balcony, but would still like the benefits of a patio umbrella. 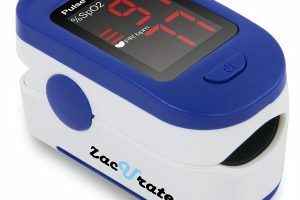 This particular model might not be quiet up to standard in its fabric and functionality. Not all patio umbrellas have to be round as this Abba 7’ x 9’ Rectangular Patio Umbrella proves. Besides providing a different look and configuration to patio coverage, this umbrella comes with 32 solar powered LED lights. 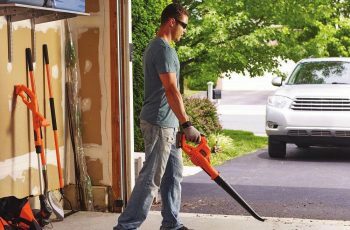 It features both a crank opening and tilt mechanism on a heavy-duty aluminum frame. It is a good fit for a 4 to 6 chair square or rectangular patio table. This market style rectangular patio umbrella is well built with a heavier than usual powder coated aluminum pole for more strength and 8 powder coated aluminum ribs in the canopy. The canopy features fade and UV resistance and is waterproof. The crank and tilt mechanisms are a plus as are the solar powered LED lights underneath. Straps to tie this umbrella when it is closed are not included. The crank position is too high on the shaft for shorter users. This umbrella does not have enough air ventilation to prevent lift in windy conditions. You would like a configuration different than the typical round style of patio umbrella. You might not be happy with this umbrella in windier climates.